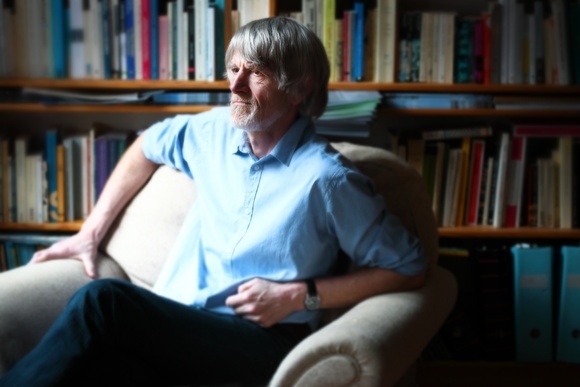 Philippe Van Parijs is a central figure in the worlds of philosophy and politics alike. Described by Amartya Sen as “one of the most original and creative thinkers of our time,” he is famous for his defense of a Universal Basic Income – an unconditional monthly grant allocated to all – as the best expression of social justice and freedom. Building on the thought-provoking exchange between Francis Fukuyama and Jürgen Habermas published in May, this special extended interview challenges us to imagine a fairer future for the European project. In their interview in this magazine last year, Jürgen Habermas and Francis Fukuyama suggested the financial crisis had revealed the weaknesses of the European Union (EU). There seems to be a critical lack of trust, solidarity and cohesion – what is your diagnosis? Solidarity is easy when it does not cost much. When a crisis hits and the amounts involved reach unprecedented levels, indignation can easily erupt on both sides. Net contributors start quibbling about whether the trouble they are being asked to relieve is self-inflicted, and try to impose conditions meant to cure the source of the trouble and prevent its repeat. Net beneficiaries, on the other hand, resent the conditionalities attached to the help they are given and eagerly believe in stories that place part of the responsibility for the trouble at the feet of net contributors. Solidarity is also more difficult to manage when different cultures are involved. For example, having just one word [schuld] to refer to both debt and culpability – as is the case in German and Dutch – is bound to make some difference when indebted countries call for solidarity. The best predictor of a government’s stance on solidarity is not, I am told, whether it is expected to pay or receive, but rather, whether its population belongs in the main to a Protestant or Catholic tradition. In one view, those who default must be punished even if everyone is worse off as a result. According to the other, sinners can get full absolution. This is just one illustration of why solidarity will always be trickier at the EU level than in more culturally homogeneous political communities. But being trickier does not make it impossible, nor less necessary. Habermas rejects the appropriateness of the German and American federal model for Europe, arguing it is too ambitious and unnecessary – do you agree federalism is the wrong way forward? What is federalism? A family of systems of government that involve at least two levels of democratic functioning with a significant set of competences entrenched at each level. The more competences are exercised at the higher level and the more difficult it is for lower-level entities to reappropriate those competences, the more one moves towards a unitary state. The more competences are exercised at the lower level and the more difficult it is for the higher-level polity to reappropriate those competences, the more one moves towards a confederation of sovereign states. The EU is very far from being a unitary state, but it has also become quite a bit more than a confederation. The competences it exercises are substantial and entrenched enough to make the label ‘federal’ appropriate. Transferring back to member states some of these competences – or making it easier for each national government to reappropriate any of them – could turn the EU into a sheer confederation. But notwithstanding some facile anti-EU rhetoric, all calls for significant moves in this direction lose momentum as soon as people figure out the implications. Within the Eurozone, there is now a widespread awareness that more powers need to be transferred upward if the common currency is to be sustainable. It does not follow, however, that the EU should try to fashion itself after either the German or American federal models. This would mean having a federal police force and federal tax collectors, abolishing the right of exit and dispensing with unanimity among member states for constitutional changes. I agree with Habermas that a direct transposition of such a model is not what our multi-national, multilingual entity needs. The EU can become a stronger and more efficient federation, with two significant and entrenched levels of democratic decision making, without needing to be turned into a genuine federal state. Habermas also argues the lack of trust and cohesion between European states is due to the incapacity of elites to transcend their own national concerns and embrace a European agenda. Some European elites do wish to transcend national concerns. But political leaders are electorally accountable to the citizens of their respective countries. If they sacrifice national concerns to the European agenda, they run a high risk of being replaced by their rivals. The culprits, therefore, are less the main players than the rules of the game they have no option but to play. Of course, if the electorates themselves were guided by Europe’s common good rather than by national self-interest, there would be no problem. But with media and parties fragmented along national divides, there is no way this could happen. Against this background, much of the art of European governance consists in achieving good compromises between positions steered by national concerns. It requires generating sufficient trust and mutual understanding between national leaders with enough authority over political majorities and public opinion. Given the existing institutional framework, it is the capacity of political elites to manage this that represents the key to progress. You have argued the main catalyst for European citizenship ought to be a form of European social redistribution – what do you mean, especially by the notion of a ‘euro-dividend’? A euro-dividend, like any other form of EU-wide social redistribution, may work as a catalyst for European citizenship, just as Bismarck’s pension system was arguably a major factor in turning the people of Bavaria, Prussia or Rhineland into German citizens. But this is not my primary reason for proposing it. The immediate reason is that some background conditions need to be satisfied sufficiently for a common currency to be sustainable, given the countries sharing that currency no longer have the option of adjusting to adverse conditions through devaluation. The theory of optimal currency areas identified four such conditions: homogeneity, flexibility, mobility and solidarity. These conditions are, on the whole, far better satisfied by American states than by the EU’s member states. Firstly, homogeneity across member states in terms of sectoral specialization is low in both the United States (US) and the EU because of the single market. It is likely to drop even further in the EU as time allows the comparatively recent single market to produce more effects. Secondly, the downward flexibility of nominal wages and prices is not great in the US and far lower, on average, in the EU, because many member states have far stronger trade unions, a more developed welfare state and more constraining labor legislation. Thirdly, the mobility of workers across state borders is about six times lower in the EU than in the US and is unlikely to increase much, if only as a result of the EU’s linguistic fragmentation. Finally, financial solidarity across states (when one is doing worse) is estimated – depending on the index used – to be between 20 and 50 times greater in the US than in the EU. If we want the euro to survive beyond the short term, one or more of these four background conditions must be better satisfied. Improving the EU’s performance significantly in terms of the first three conditions is either impossible, or undesirable, or both. The best chance for the euro is therefore to satisfy far better the fourth condition: solidarity. The EU’s 27 welfare states have developed historically along quite distinct paths, reflecting different power relations and public debates. Their structures are very diverse and their generosity – along many dimensions – very unequal. Even comparatively minute reforms are highly sensitive politically. It is an illusion to believe that we shall ever have, or indeed that we should ever have, a unified EU-wide mega welfare state analogous to the US. We must think of a far simpler, rougher form of cross-border redistribution, which will not replace the existing national welfare states, but fit beneath them. Hence, my proposal of a universal euro-dividend organized and funded at the level of the Eurozone or EU as a whole. Such a scheme could not be funded by social security contributions, which should be earmarked for social insurance benefits. Nor could it be funded by a personal income tax, if only because the definition of taxable income is again too diverse among member states and too politically sensitive. One might think of a ‘Tobin tax’ on financial transactions, or of a carbon tax on CO2 emissions. But this could only finance, under optimistic assumptions, an EUwide euro-dividend of about €10 or €14, respectively. More promising is a reliance on the most Europeanized of all taxes: the Value Added Tax (VAT). For instance, an EU-wide VAT of 20 percent would fund a monthly eurodividend of €200. Photography courtesy of Rita Scaglia for The Global Journal.